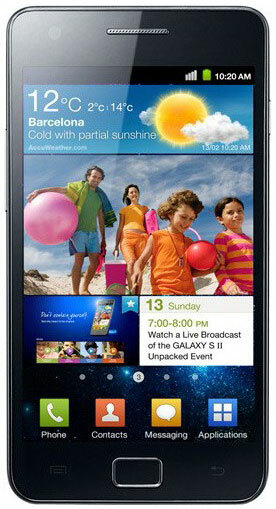 The Samsung Galaxy S II made its debut at Mobile World Congress in Barcelona, Spain a short while ago. Social Hub Premium: The future of communication – talk to whoever you want, however you want, all from one place – your contact’s list. Communication history, IM status, and updates from social networking sites are all readily available. From here, users can access all types of messages (push e-mail, text, VM and SNS) and respond directly without resorting to individual applications. It truly acts as a hub for entire social life. Readers Hub: Carry an enormous library of books, magazines and newspapers on-the-go. Through strategic partnerships, Samsung Readers Hub provides over 2.2 million books and novels, 2,000 global and local newspapers in 49 languages and 2,300 popular magazines in 22 languages. Game Hub: The easiest way to download and play best-in-class mobile games. Featuring a 3-axis gyroscopic sensor, the Samsung GALAXY S II unleashes a world of gaming possibilities. Try for free and download premium titles from partners like Gameloft, or ‘enjoy Social Network Games (SNG) powered by mobage including ngmoco’s We Rule and We City’. Music Hub: Make Samsung GALAXY S II a personal music manager and access over 12 million tracks from 7digital. Discover what’s hot from top charts, search for favorite music, get recommendations on albums, enjoy previews and download them directly to Samsung GALAXY S II. The new Galaxy S II definitely falls into the “insanely thin” category at a mere 8.49mm thick. We’re now waiting to hear of someone releasing a phone as thin as a piece of paper at this point. Support for MP4, 3GP, DivX, XviD and Streaming video. UPDATE: Corrected the amount of RAM and changed the processor in the specs.